I did a post a while back on what I use while washing my face here, as time goes on I like to switch things up bit so thats why I thought I would do an updated daily face routine for you guys. Washing your face can seem time consuming sometimes and is a task within itself but it has to be done morning AND night. Not many people know the importance of washing your face twice a day. As it is known that you skin is still at work repairing itself even when were sleeping, so ladies think twice before going to sleep with that makeup on. My daily face routine is mainly the same from the morning to night, the only thing I will switch up is when I use my face scrub and when I take my makeup off. 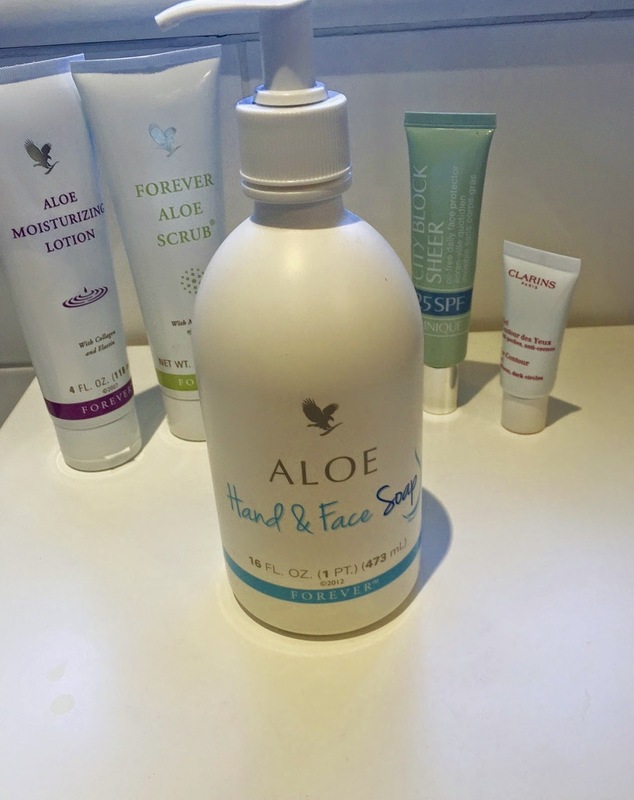 So to start with I will wash my face with my forever living face and body soap, this product comes in a pump bottle as you can see and comes out as a gel in a lovely pearl colour. I will rub this between my fingers for a couple of seconds so I have enough product on my fingers and then rub this all over my face. With this product like the Clinique step 1 you don't need to wet your face before applying as it lathers up very well on your skin and is also very sensitive on your eyes so if you happen to get any in your eyes its not going to hurt so much. 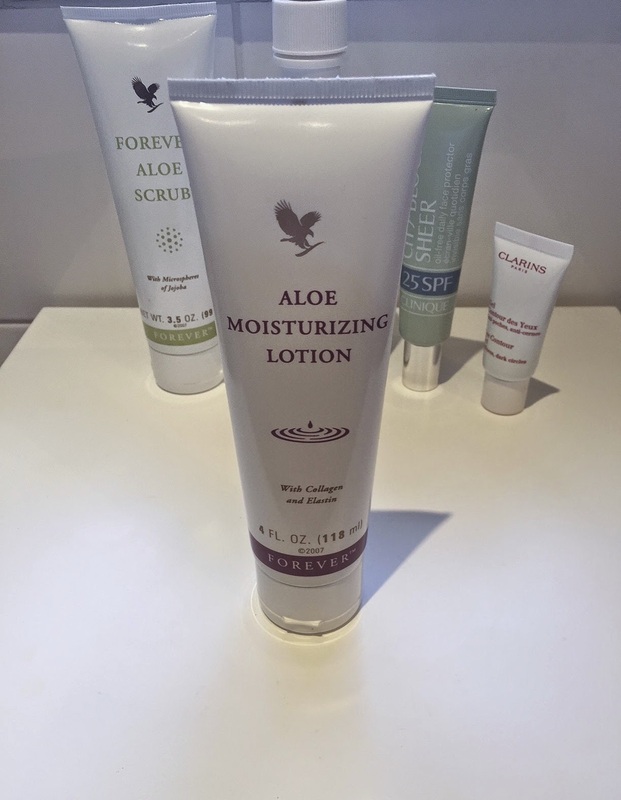 With a generous amount of Aloe Vera in the gel it acts as PH Balancer giving your skin an all over balanced look. One of the best parts about this product is the face it lasts for such a long time, I have been using this at least twice a day for nearly 3 months and it still has not run out. Once my face is thoroughly clean I will then run the warm water and was it all off, and I can already feel the difference in my skin even after one use. Making my skin feel so soft to touch and feeling refreshed. One trick I started to use is that once I have washed all of the soap from my face I run the cold water only until it freezing cold. I then rinse my face with freezing cold water, and this with close all the pores which you have just opened wight he warm water and tighten your skin up slightly. I will then go on to using my forever living moisturiser all over my face massaging it in gently. This moisturiser defiantly boasts some great elements such as collagen, Elastin and jojoba oil all helping your skin stay young and healthy. 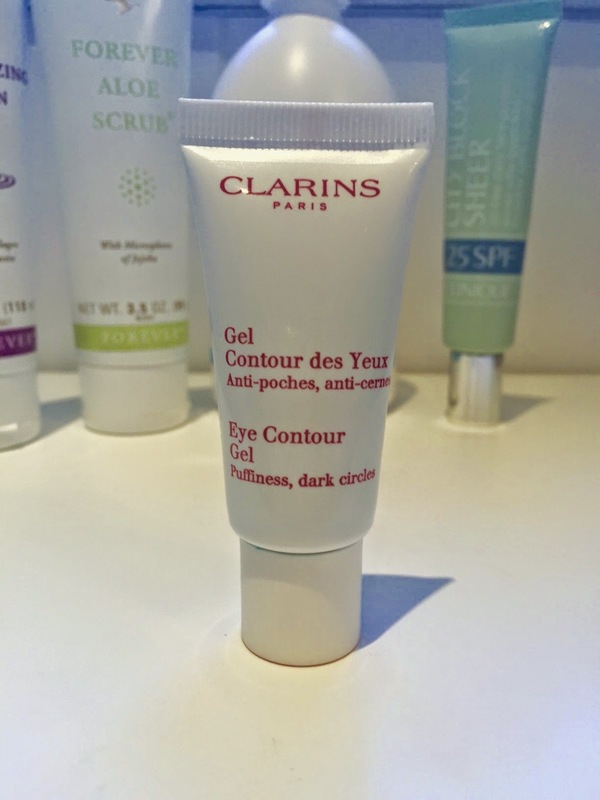 Following on is my clarins eye gel. I have not used Clarins eye gel before but I have always used their moisturiser previously and have always been more than happy and the eye gel has been no acceptation. I apply a small amount to the tip of my fingers a gentle dab the product under my eyes and any excess onto the lip. After application you can immediately feel the cooling effect of the gel and makes your eyes feel so refreshed. 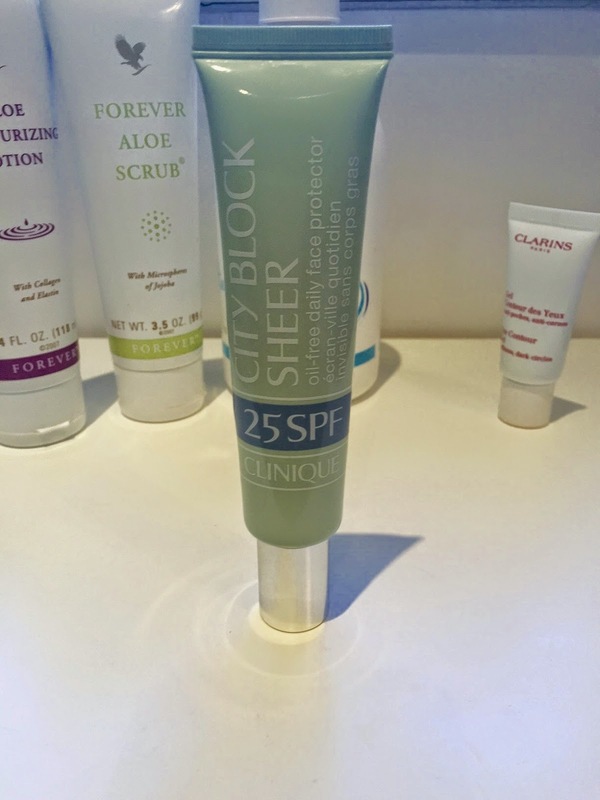 Once everything is rubbed in nicely, I will use my City Block Sheer in 25SPF from Clinique, this gives me that extra protection from the suns harmful rays and also protects your skin from the harmful pollution. This will help prevent any dark patches caused by skin damaged as make your skin looking younger for longer. 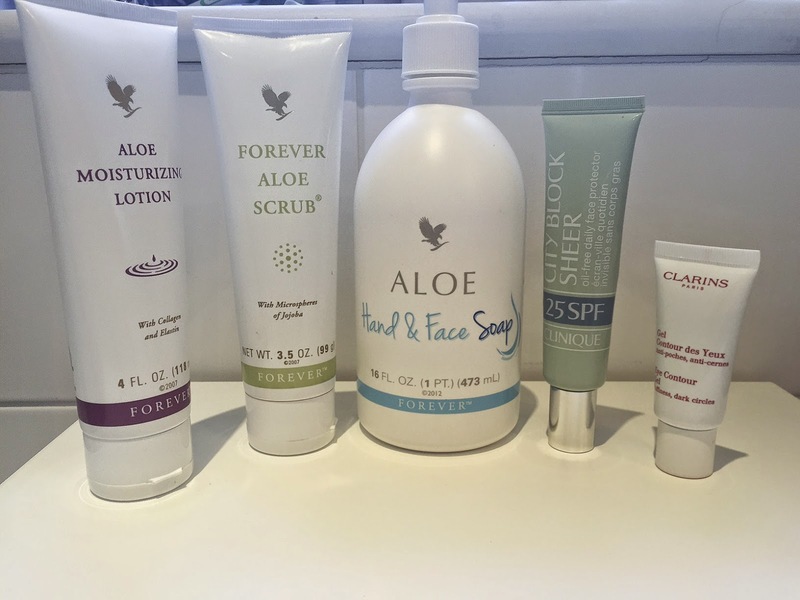 So this is my go to wash routine every day, as I said before I will switch things up and use my Forever Living face scrub a few times a week in the evenings before I use the soap. With this I will run the warm water and dampen my face. Then apply a small amount of the face scrub to my hand and massage into my face for only a few minutes. You don't want to over scrub your face as it will damage your skin. I will then rinse this off and follow up with my trustily face soap. 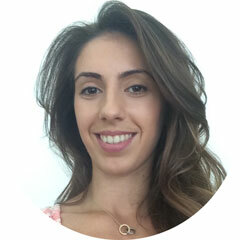 To keep my face hydrated and clear I will often not wear makeup over the weekend during the day, and also when I get in from work. This gives my skin a break from all the makeup I wear during the day and gives it a chance to breathe. Most weekends I will often steam my face to get any muck out of my face and freshen it up. I hope this has helped you and have enjoyed reading my face routine. 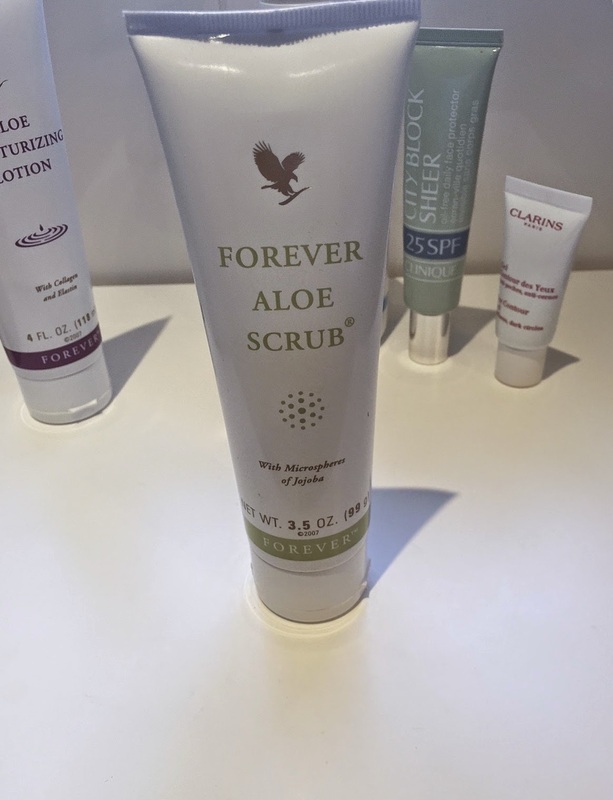 If you would like to purchase any of the Forever Living products in this post you can get a 10% discount through me on your first purchase using discount code FLAMS1, just email me at contact@topdrawfashion.com or through any of my social media links.